Pearl City High School is hosting an Earth Day recycling fundraiser from 8 a.m. to 2 p.m. Saturday in the school parking lot on Waimano Home Road. Bring beverage containers, tires (limit four per household), newspaper, cardboard, bicycles, car parts, washers, stoves, scrap metal (no TVs or microwave ovens), telephone books, used eyeglasses, batteries, usable clothing and household items, cellular phones, printer cartridges, green waste or computers (only one per household). Call Kirk Bailey at 778-9985 or Rene Mansho at 306-1876 for curbside pickup. Authors of the book "Artism: Art By Those With Autism!" are looking for original pieces to be included in the second book in the series, "Artism Anew." Today and author of "Artism" and "Chicken Soup for the Soul: Children with Special Needs." The first "Artism" book won the Global Book Publishing Award. To submit a piece, e-mail any number of high-quality TIFF or PNG files to artism@autismtoday.com by Aug. 15. Visit www.autismtoday.com/artism.htm. Andagi and awamori will be the tasty subjects of choice Saturday at a celebration of Okinawan food culture at Kapiolani Community College's Lama Library. From 10 a.m. to 4 p.m., sample andagi (doughnuts), Anda-Dogs (hot dogs in andagi batter) and nantu (sweet potato mochi). Presentations include Dr. Brad Willcox on the Okinawan Diet at 11 a.m., a panel discussion on Okinawan restaurants in Hawaii at noon, and Randy Kuba on the Okinawan liquor awamori at 1 p.m.
Okinawan music and dance round out the day, along with a presentation of the new cookbook "Okinawan Mixed Plate II" at 2:30 p.m. The event is part of the Smithsonian Institution's "Key Ingredients," on display in the library. A local component, "Hawaii by Food," includes a section on Okinawan-owned restaurants. Admission is free. Call 734-9562. Last year's bundt winner was Mint Mountains. 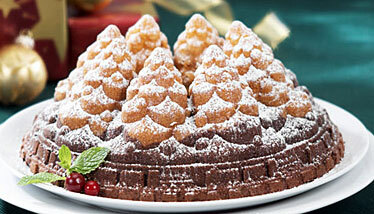 Pick a holiday, pick a bundt pan and enter the Bundts Across America Recipe Contest. Top prize is $10,000. A finalist will be chosen for each of the holidays - Valentine's Day, St. Patrick's Day, Easter, Mother's Day, Father's Day, Independence Day, Halloween, Thanksgiving, Hanukkah and Christmas - to take part in a bake-off in San Francisco in October. Deadline to enter is Aug. 1. For entry forms and rules visit www.nordicware.com.